Since the cancellation of fan favorite soaps All My Children and One Life To Live fans have fought to bring the shows back. It looks like all the effort fans put in is going to be rewarded and was not in vain. Prospect Park was originally trying to save AMC and OLTL but failed in their attempt and the deal fell apart. After the failed attempt Prospect Park started shopping it around to bring the soaps back on the internet. If successful their plan is to bring both soaps back in 2013. Reportedly, discussions with cast members have already begun. As Celeb Dirty Laundry reported last week Susan Lucci has already been approached. Unfortunately, she may not be available due to previous commitments. Prospect Park has made no official announcement yet, but it looks like they are getting closer to a deal to bring our favorite soaps back. It’s heartening to see a respected news source, such as GLOBE, assist the devoted fans of classic soap operas in their intrepid attempt to bring these great shows to TV. 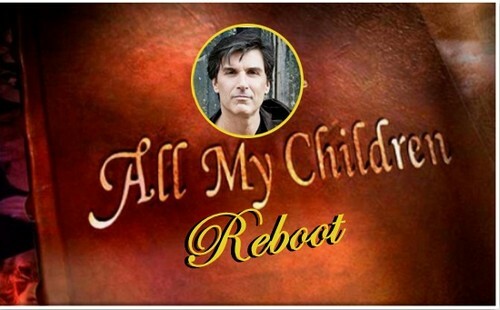 The War To Bring Back ‘All My Children’ To Television Is Not Over! Susan Lucci Of Terminated ‘All My Children’ Finds Refuge With Desperate Housewives?